New jobs tax credit established, corporate franchise and sales and use taxes changes made, and money appropriated. This legislation would provide a one-time $3,000 tax credit to any Minnesota business for each veteran, unemployed worker or recent college graduate hired during the 2012 calendar year, and a $1,500 credit for each new hire through June 2013. Minnesota State Veterans Cemetery burial eligibility expanded to include deceased allied Hmong-American or Lao-American veterans of the American Secret War in Laos. Congress and the President of the United States memorialized to amend federal veterans cemetery law to expand eligibility for burial in state veterans cemeteries developed with federal funding to include allied Hmong-American and Lao-American veterans of America’s Secret War in Laos. Resolution; Congress and the President of the United States memorialized to formally recognize the Khmer Freedom Fighters. USCIS is considering changes that would allow certain immediate relatives (the spouse, children or parents of a U.S. citizen) who can demonstrate extreme hardship to a U.S. citizen spouse or parent to receive a provisional waiver of the unlawful presence bars before leaving the United States. The following was taken from a newsletter from the Immigrant Law Center of Minnesota. Emergency Medical Assistance: Recently, 2,300 Minnesotans received letters informing them that they would no longer qualify for Emergency Medical Assistance (EMA) beginning January 1, 2012. Specifically, due to changes made during the 2011 special legislative session, EMA would no longer cover such treatment as dialysis, chemotherapy, in-patient treatment, or mental health treatment. Due to the nature of who EMA covers, these changes impacted only non-citizens. The persons affected ranged from children to the elderly; from undocumented parents with U.S. citizen children to persons who have been legal permanent residents in Minnesota for years. Among other actions, ILCM began taking calls from affected immigrants and community partners almost immediately. Thanks to the generosity of the Minneapolis Foundation, we were recently able to hire a part-time attorney to screen immigrants for possible immigration relief such as applying for U.S. citizenship, U-visas, or a family petition to address both their immigration status and their eligibility to access life-saving healthcare. ILCM is also working hard with multiple partners to try to reinstate EMA coverage for as many persons as possible. Please be sure to sign up for action alerts and we promise to keep you informed as this issue moves forward. For more details, read this January 10 article from Minnesota Public Radio. Click here to read a fact sheet compiled by the Department of Human Services on how last years change to EMA reduced coverage of serious medical conditions for some of Minnesota’s low-income immigrants. Family Visa Waiver Petition: On January 6, USCIS announced its intent to reduce the time that U.S. citizens are separated from their family members under certain circumstances while those family members proceed through the legal immigration process. This announcement from USCIS is wonderful news for immigrant families across the United States. We believe the announcement is the result of high-profile advocacy efforts like that of film director Ruth Leitman in her stellar documentary Tony and Janina’s American Wedding: A Deportation Love Story, as well as stories like Emily and Raul’s represented by ILCM and its pro bono attorneys, and another one in which an ILCM board member’s client died while waiting to be reunited with his U.S. citizen spouse from Hinckley. Time: 1:00 – 5:00 p.m. This dialogue is a follow up to the event ‘Healthcare for the Burmese and Karen Communities in Minnesota: A Community Conversation’ held on October 29, 2011 at Rondo St. Paul Public Library. 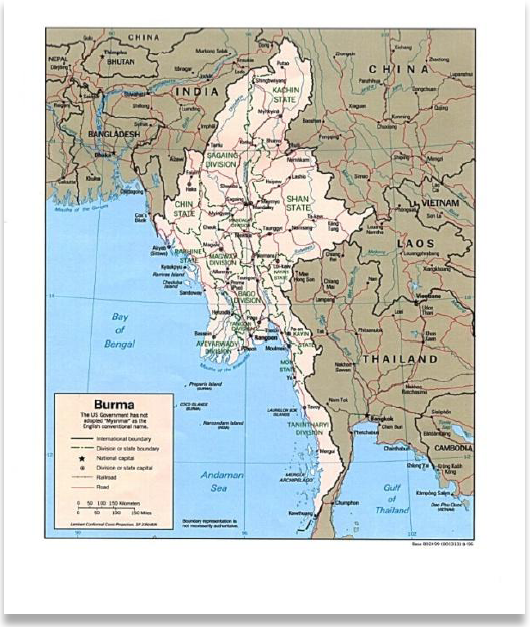 Suggested attendees include: health providers, social workers, educators, health plans, legislators, social service providers, community agencies and others serving refugees from Burma. This panel will include a personal refugee story, as well as provide insight into the role that several agencies play when new refugees come to Minnesota. Panelists will include representatives from the state health department, a local refugee resettlement agency and a community based organization. This panel will explore the systems needed to ensure care coordination for refugees after initial resettlement in the U.S. as well as an overview by a primary care provider on working with refugees from Burma. Panelists will include representatives from an interpreter service agency, a health plan, a health provider, and a healthcare navigator. Interactive discussion will be encouraged throughout the afternoon. Stay tuned for a detailed agenda coming soon! CEUs will be available. This event is FREE to the public. 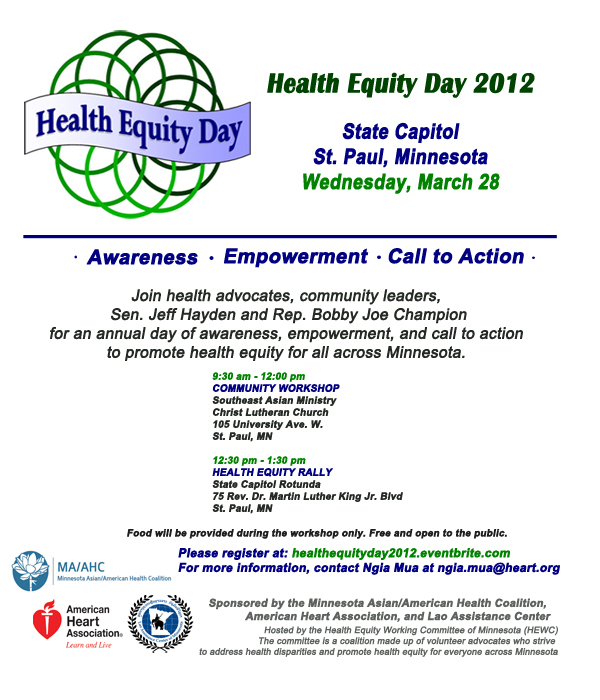 RSVP to Scott Ruhsam at sruhsam@thelanguagebanc.com or 612-588-9410 by March 5. This program is sponsored by MDH, HealthEast Care System, UCare, Karen Organization of Minnesota, Council on Asian Pacific Minnesotans and Language Banc. Baby Talks offer support and resources for young parents through group learning and individual meetings. Pregnant or parenting young women twenty-four years of age or younger are eligible for Baby Talks. *Funding for Baby Talks is provided in part by the Minnesota Department of Health.